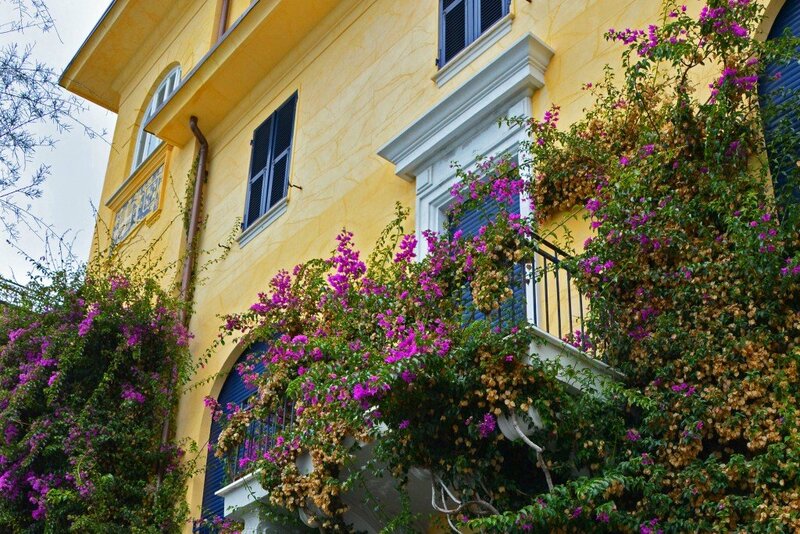 Monterosso al Mare is the northernmost village in Cinque Terre along the western coast of Italy. It’s the largest of the 5 villages and the only one with resorts and a true beach where visitors and locals can relax on the sand. 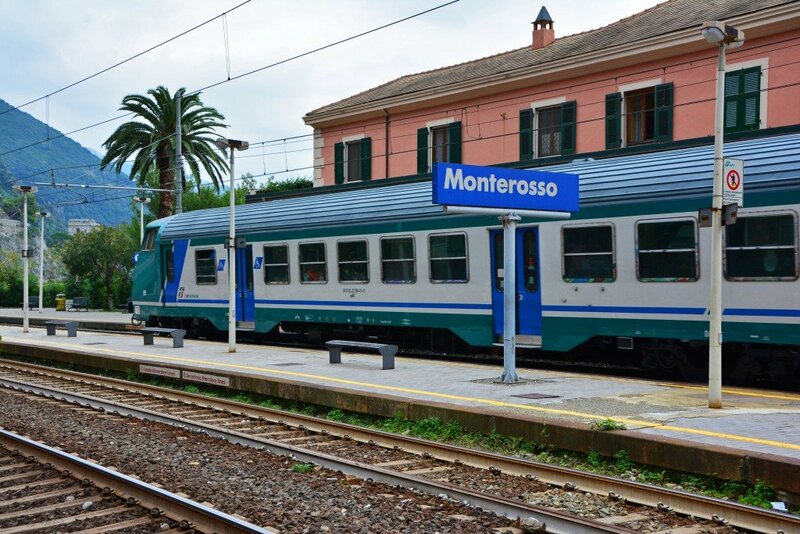 Arriving into Monterosso by train is simple. 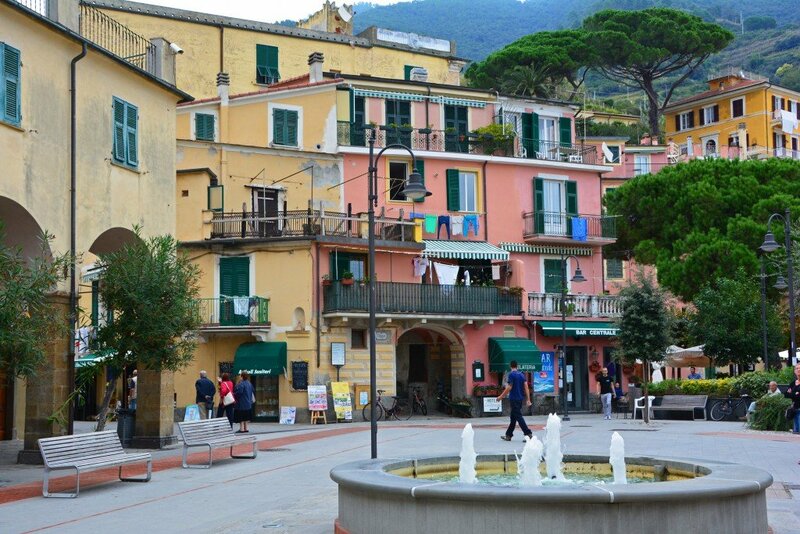 Some of the villages in Cinque Terre require a little bit of a walk from the train station before you enter the main square, but like Vernazza, the station in Monterosso is close to several points of interest. 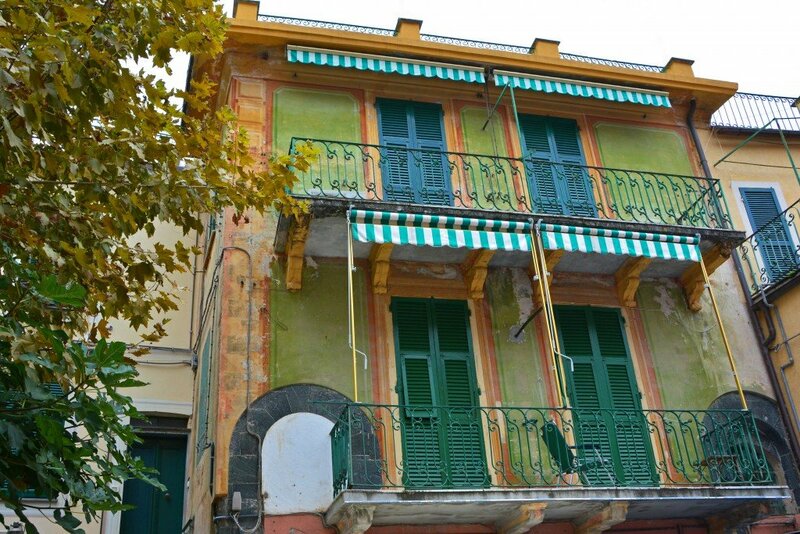 Mere steps from the station is the beautiful Mediterranean Sea. We visited in October when the water was just a tad too cool for a dip! It sure was nice to look at, though. At one end of the beach rests Il Gigante. 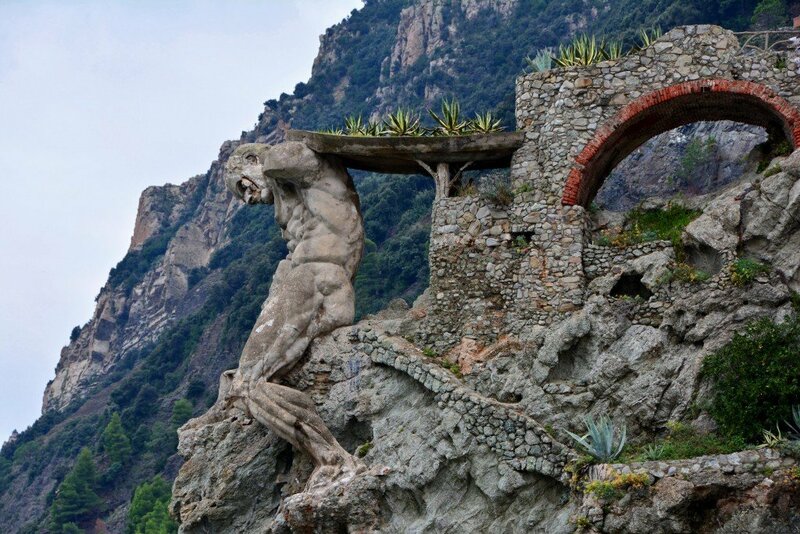 The once-majestic statue (Neptune holding the waves at bay), built from concrete in 1910, is now a weathered giant. 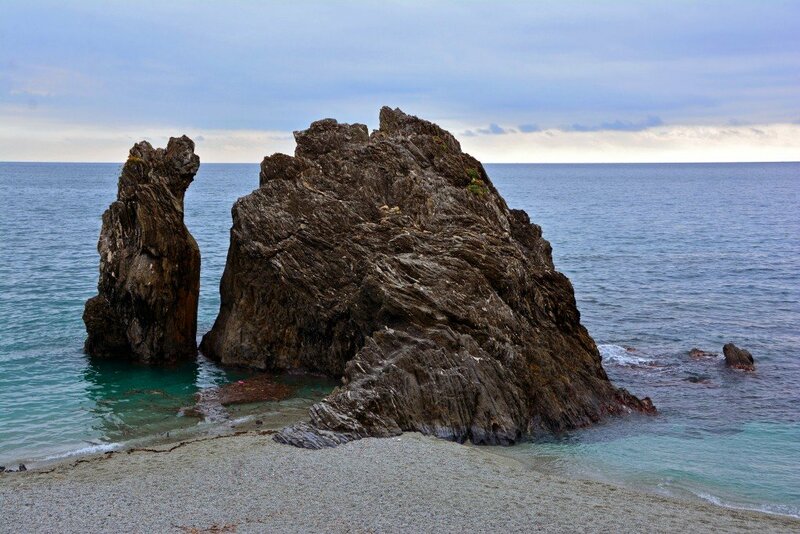 Battered by allied bombs and further deteriorated by rough seas, Il Gigante now blends into the rocky landscape minus his arms, his trident, and the massive seashell he once held. 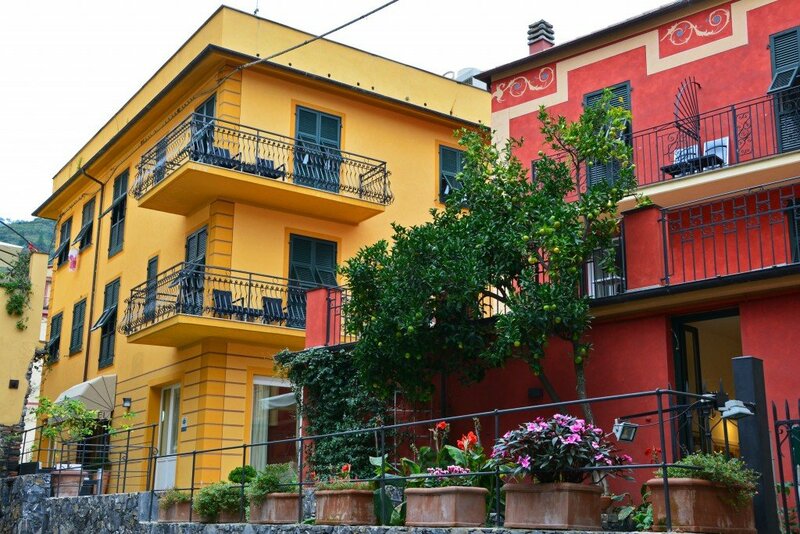 Monterosso is divided into two small regions: the Old Town and the New Town. 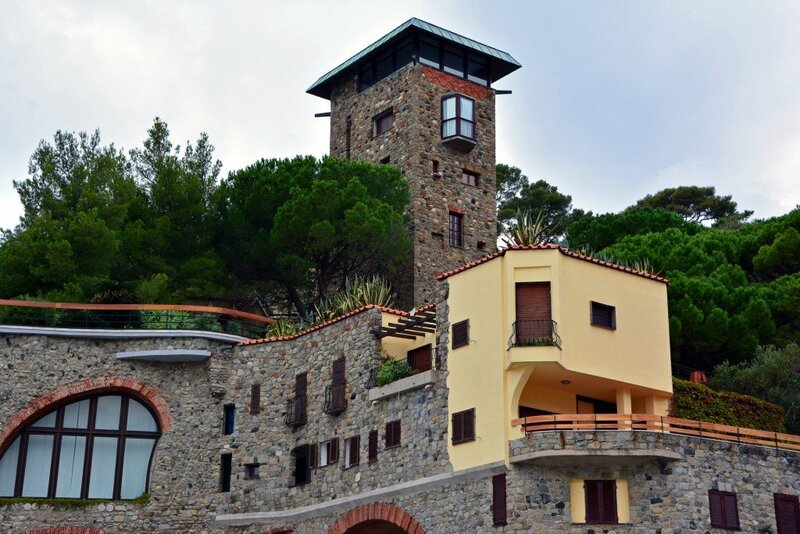 The train station is located in the New Town area, in addition to the few of Cinque Terre’s only resorts. 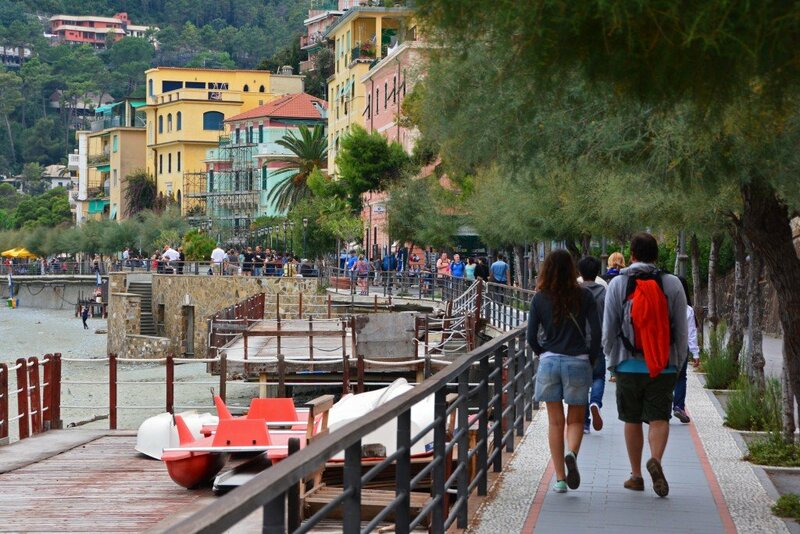 Also in this area of town is a nice seaside walkway boasting several shops, restaurants, and oh-so-essential gelatarias! 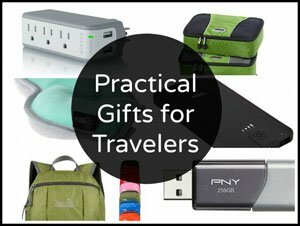 It’s the perfect place to relax by the ocean, enjoy a snack, and people-watch! 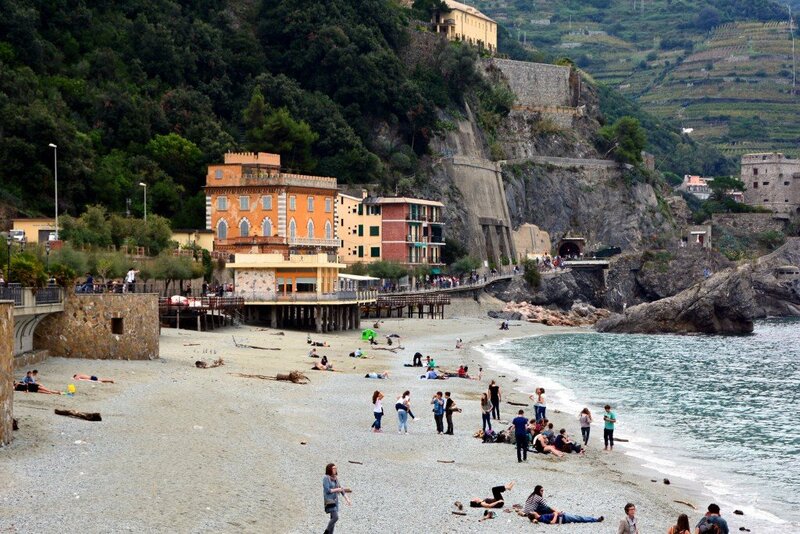 This beach is one of the only spots in Cinque Terre where you can stand and see all 5 villages that make up this stunning portion of the Italian Riviera! 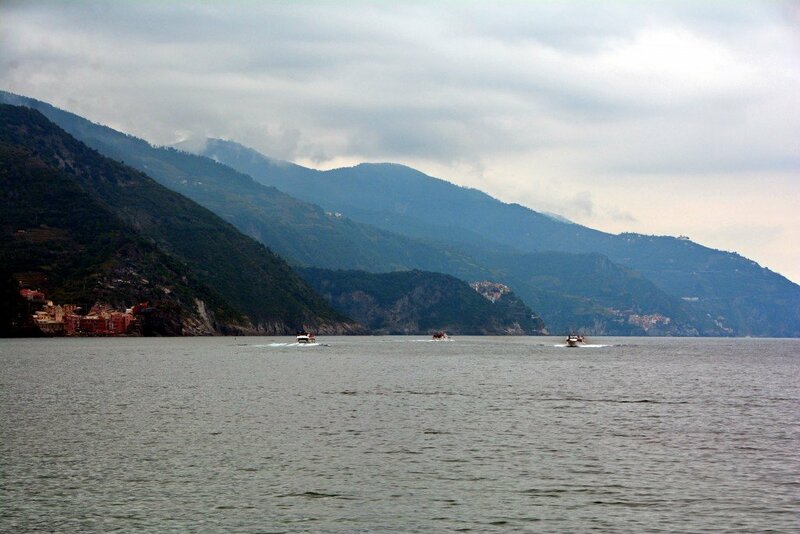 All of the villages can be accessed by train, boat, or the famed coastal hiking trails. 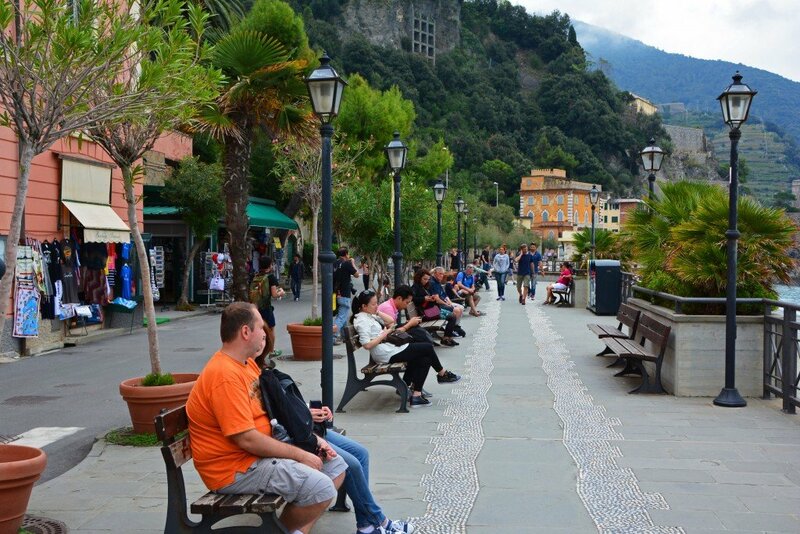 A single tunnel divides New Town and Old Town in Monterosso, providing a walkway for pedestrians and a single lane of traffic for the minimal number of cars. 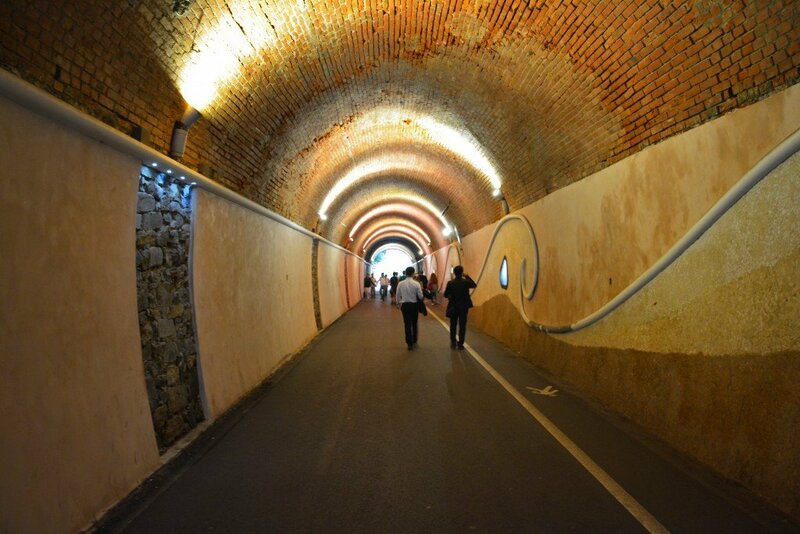 Emerge on the other side of the tunnel and arrive in colorful Old Town. 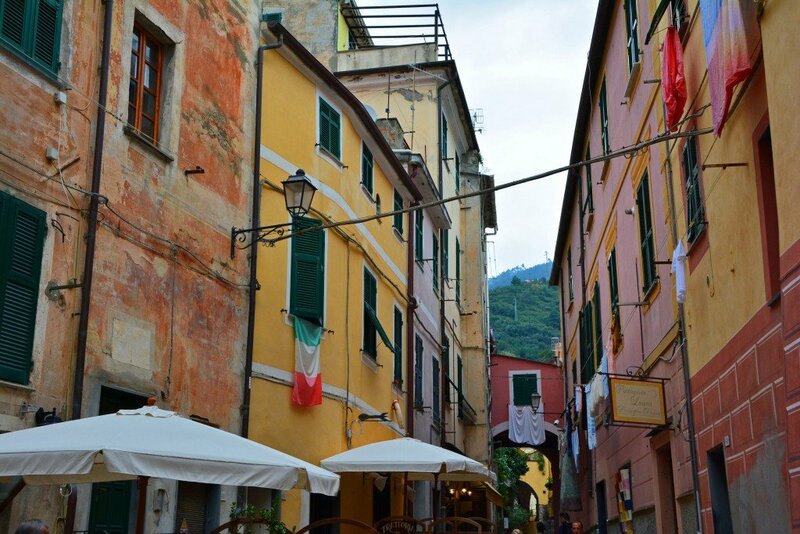 Vibrant buildings and narrow alleyways are characteristic of Monterosso al Mare and the other 4 villages that comprise Cinque Terre. 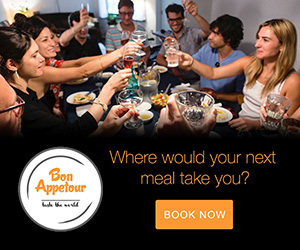 After you’ve spent some time exploring, have a seat and enjoy a glass! 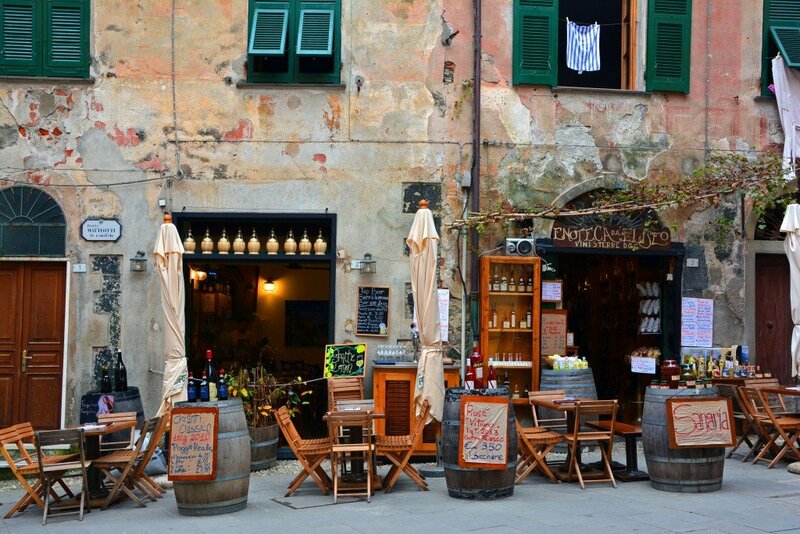 Monterosso is well-known for its white wines, grapes, and olives. Lemons are also abundant, as is evidenced by the numerous lemon trees around town. 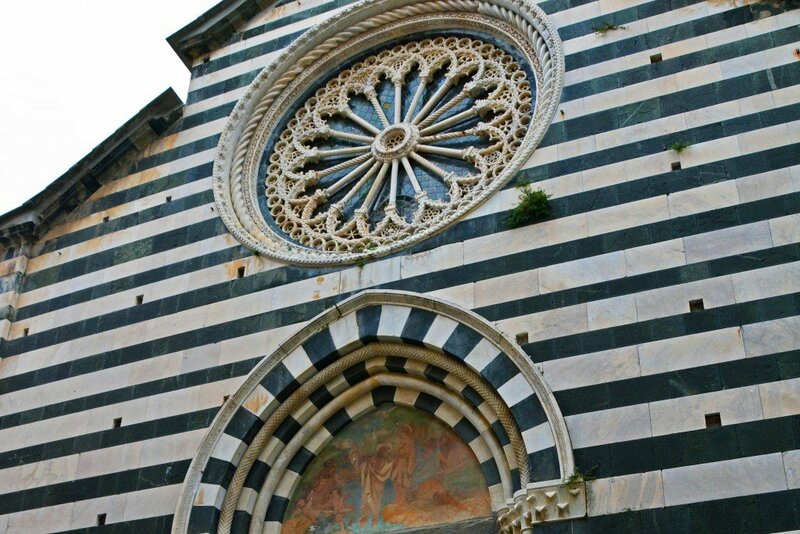 One of the most eye-catching structures in the Old Town is Chiesa di San Giovanni Battista (Church of St John Baptist) located in Piazza Don Giovanni Minzoni. I can’t help but think of the movie Beetlejuice when I see this unique building, both inside and out. 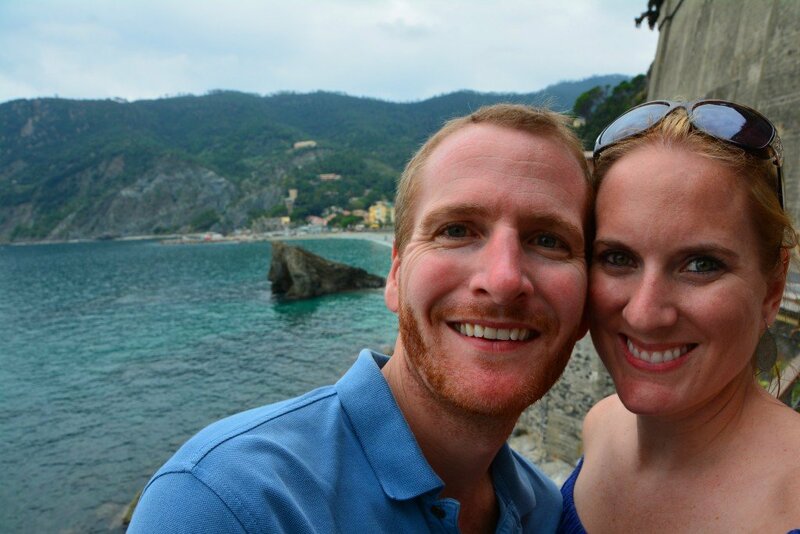 We only spent a few hours in the town of Monterosso. It was just barely enough time to scratch the surface. 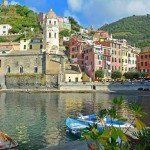 Sadly, many people only experience an abbreviated trip to Cinque Terre as a part of a cruise ship excursion or as a brief stop on a whirlwind tour through Italy. 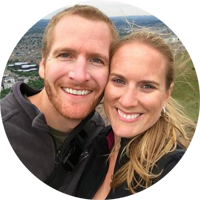 If time permits, spend a few days hiking between towns and taking in everything these charming destinations have to offer! 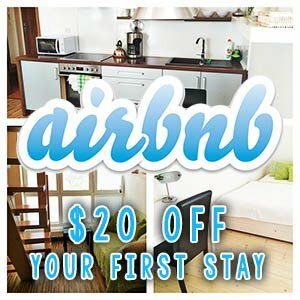 You are most welcome! 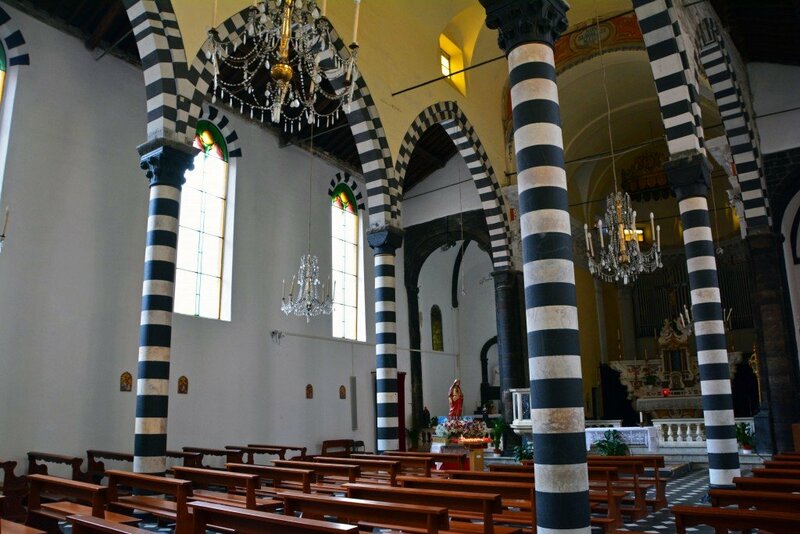 Stay tuned… we have 4 more villages to write about! 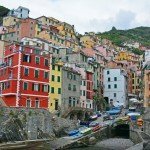 Everyone should put Cinque Terre on their list of places to see! 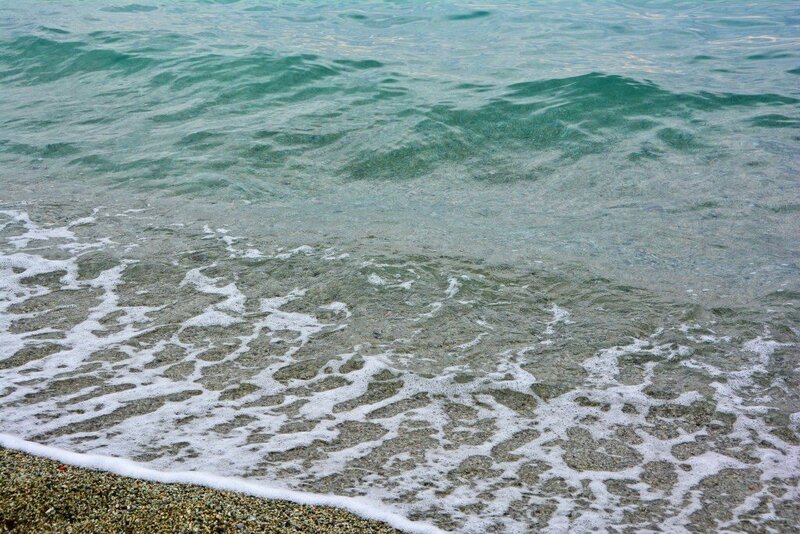 Probably my favourite seaside destination, Monterossa del Mare. 5 years ago now and I dream of returning to this marvelous place again. Thank you for the tour again I was almost there! 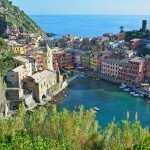 Cinque Terre is a wonderful seaside destination, isn’t it?! Definitely advantageous to visit in the off season to avoid the crowds, but so worth a visit nonetheless!